The Ludi Bin: Where Have All the Children Gone? Thanks to my sister for letting me guest post here! As a mother of three who still makes some time for video games, I thought I'd post about kids in video games, not kids consuming video games (which is a much more popular topic). Children make up 20% of the U.S. population, and account for almost 16% of gamers. Without them, there could be no future for the human race. Everyone has been a child at some point. But in most games, they don't even exist. It's pretty common to talk about sexism in the video game industry. But what about the fact that almost every video game character is between 18 and 30? Kids make up a big portion of video game players, but how often can they play a main character their age, even in games aimed at kids? 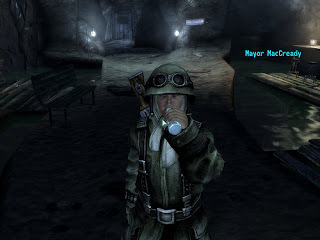 While I'm not suggesting that we need kid avatars for Halo or Dragon Age, childhood is a large area of the human experience that has been virtually ignored in video games. In some games, there are no children at all, and while part of that is because of the types of stories that easily translate into games, part of that is due to technical and legal difficulties. Oblivion, for example, is detailed enough to have geologically-appropriate terrain for the entire world, and each of the hundreds of characters has their own schedule for each hour of each day of the week, but there are no children in the world. 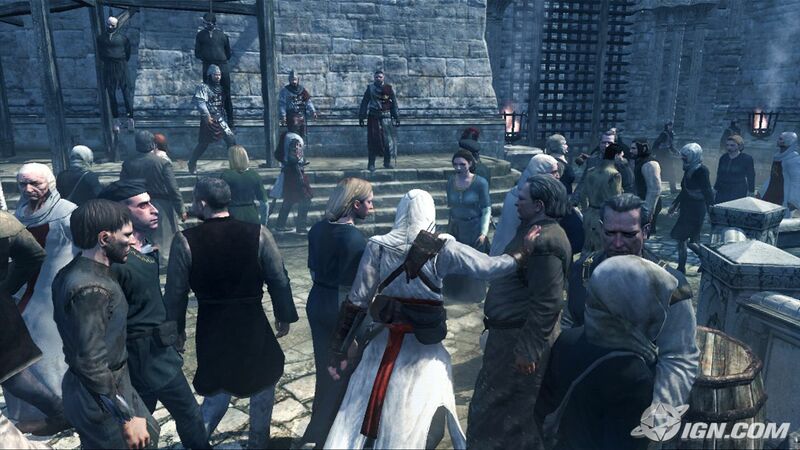 Assassin's Creed has meticulously recreated historical cities with thousands of people populating them -- but no children. Part of the reason for this is technological -- adding children means more 3D models and game resources, which do use time and money. Part of it may be ethical or legal -- in open-world games like Oblivion, where you can kill characters in the world if you want, some would undoubtedly attack children, which is one taboo that still holds a lot of weight in our society. As one designer for Fallout 3 says about their decision not to allow killing children in their game, "It wouldn't have been socially responsible". As gamers are more and more likely to be parents themselves (53% of gamers are between ages 18 and 49), they are more likely to appreciate settings that deal with children and parenting. Fallout 3, a postapocalyptic open-world game, does have some children (who are unkillable). They even have their own little kids-only village, which is a neat idea, but ultimately unrealistic. How do new kids (babies?) get to this village? Would the teenagers really allow themselves to be kicked out on becoming adults? There are some great issues about children that could have been addressed in other parts of the game, too -- how does nuclear fallout affect people's decisions to have children? If infertility is a large problem, perhaps the culture surrounding children would change -- would people value children more, either because of their rarity, or as another gun to defend against the monsters? What happens to the culture of childhood? 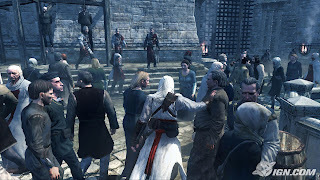 While the game explores some interesting questions about science and sacrifice and revolution and karma, sociological and familial issues are still largely a wasteland. Children, when they appear in games, usually occupy stereotypical roles, such as the Crying Little Kid or Heartwarming Orphan, with little to set them apart and make them a living character. But surely in kid's games there are sometimes realistic kid characters, right? The truth is, even in kids' games, they usually play as robots, anthropomorphic animals, teenagers, or adults. 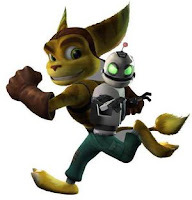 Do kids identify with these guys? Maybe . . . 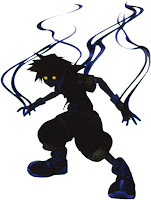 The only child main characters (under 14) I could think of were in Pokemon games, Gau & Relm from FFVI, and Sora from Kingdom Hearts (Wikipedia has little else to add). But Sora is a great example of a child main character who is not merely a story prop or stereotype. He has relationships and problems similar to other school-aged children, but with the added responsibility of trying to remember his past, save worlds, and survive. His struggles are not just physical (beat the bad guys! ), but emotional and psychological as well. Sometimes we forget what it's like to be a kid. It would be hard to do well -- to capture the learning and naivete and the sincerity and intensity of being a child. But I think accurately portraying children would help video games feel more realistic and be more true, as well as having stories that mean more to both children and adults. I'm reminded of a comment I overheard at WorldCon -- and it came from Authority, since it was a publisher criticizing an author's pitch. He said that children aren't interested in reading about kids younger than them. Protagonists MUST be equal or older in age. A lot of childhood play is a kind of imagining their grown-up selves, and that only works if the protagonist is a little bit ahead. So that's part of the reason for the age disparity. A 14-year old protagonist implies a target audience of 9-13, etc. Adults are often happy to "play younger," but that's perhaps a different topic :).